Is anyone in your house on Santa's Naughty List? Someone here is. 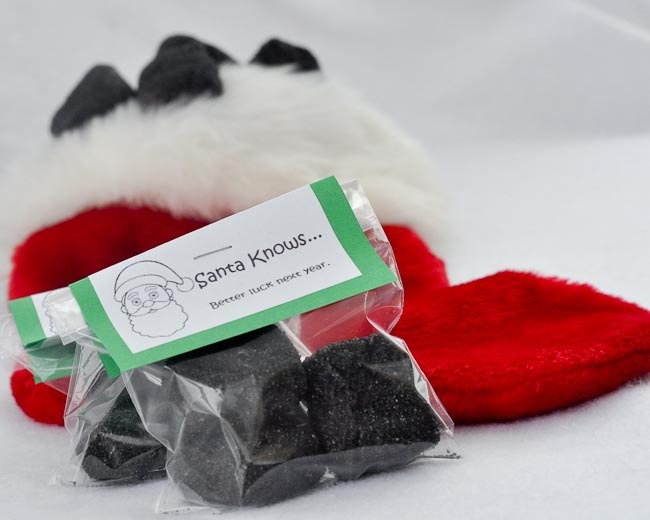 And this candy coal will be inside of his stocking this year. 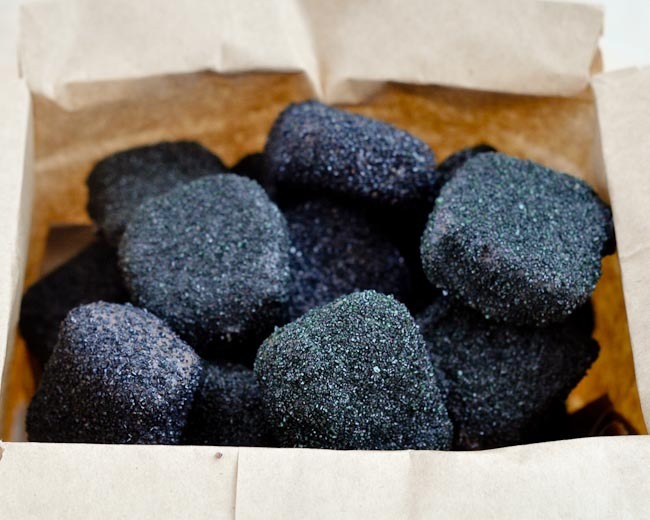 But I'm also planning to give these little bags of coal to friends, too, because.. well, they're funny. AND they're good. 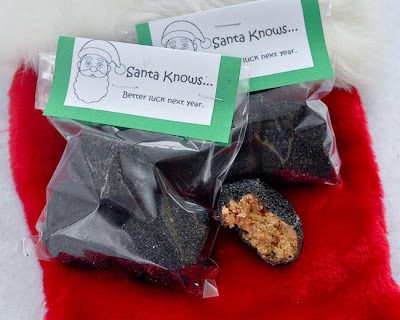 Homemade Peanut Butter Cups, covered in black sprinkles. What's not to like?? 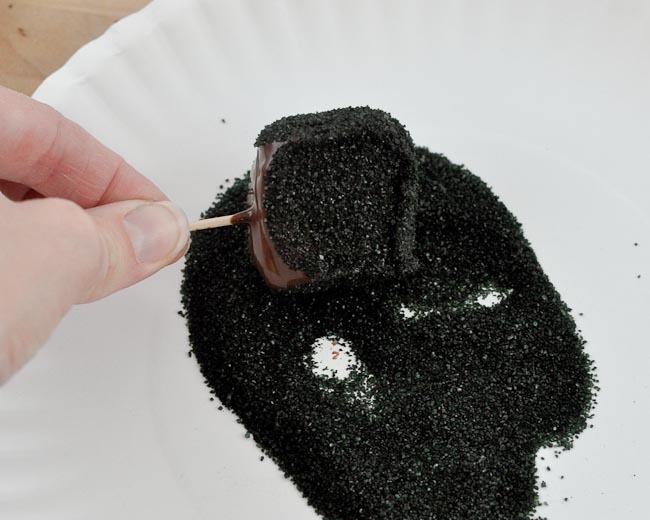 *Note: Black Sanding Sugar isn't terribly easy to find after Halloween, if you don't have a good cake supply store nearby. Online, it is, of course. But if you're in a pinch and want to make these right now, like I do, check out this blog post on Sugarbelle's Blog. The good news is that these are really not all that time-consuming to make. 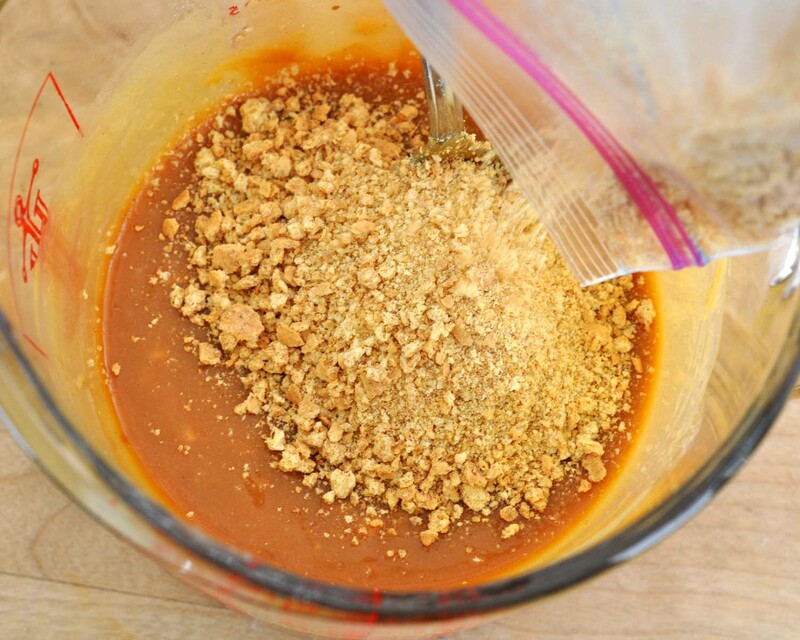 Partially melt the peanut butter and butter. Microwave for about 45 seconds on high. 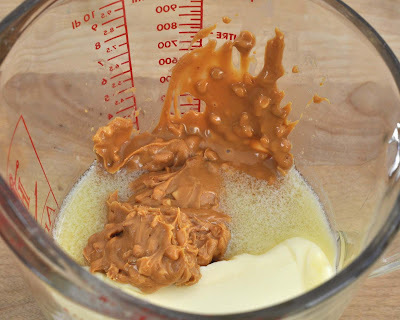 Stir the butter and peanut butter to combine. Add the graham cracker crumbs and the powdered sugar. 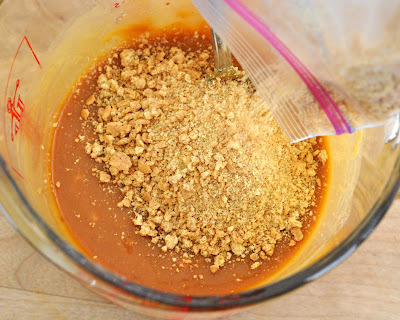 Stir to make a thick dough-like filling. This is where it gets messy. Scoop out about 1 Tbsp. of 'dough.' Shape each into a square/rectangle. 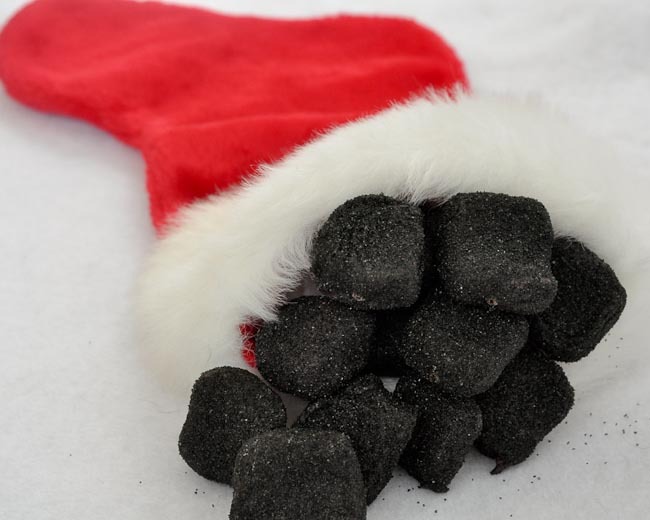 They don't have to be perfect, they're turning into coal, after all. Have a damp towel nearby, you'll need to wipe your hands after just about every one. 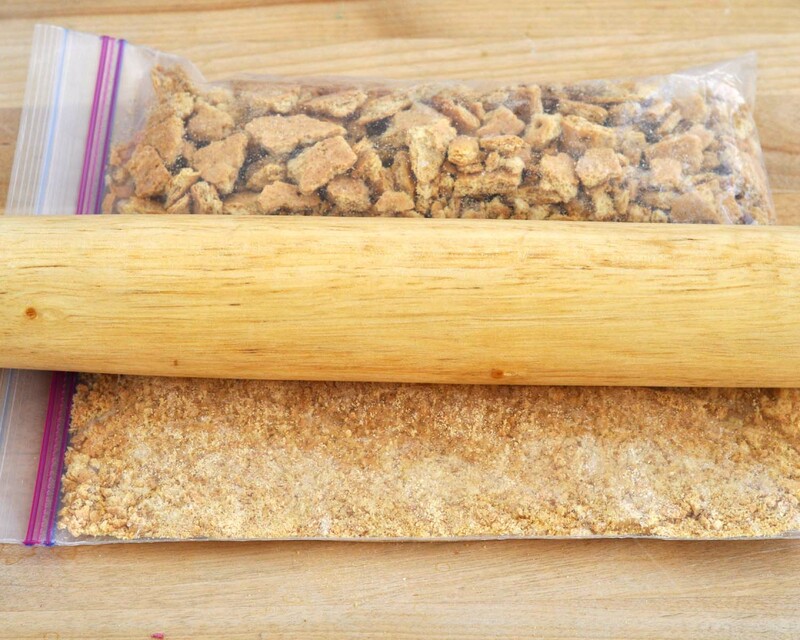 Allow them to harden in the refrigerator for a few hours or overnight. To dip the "coal," melt the chocolate chips or Candy Melts on 30% power. 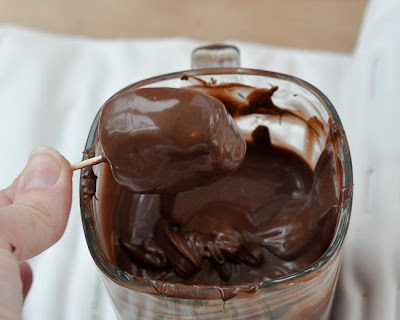 I always use a tall mug for dipping, but a bowl would work here, too. The chocolate chips will not harden as quickly as the Candy Melts. But because they're covered with sprinkles, I don't know that it matters too much. If you're good at dipping things, then by all means use a spoon or fork to do this, but I am not good with those, so I use a toothpick. 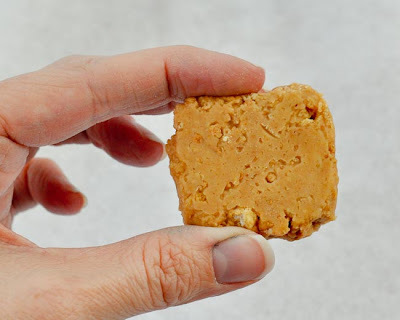 Insert the toothpick about halfway into the cooled (and now somewhat hardened) peanut butter patty. 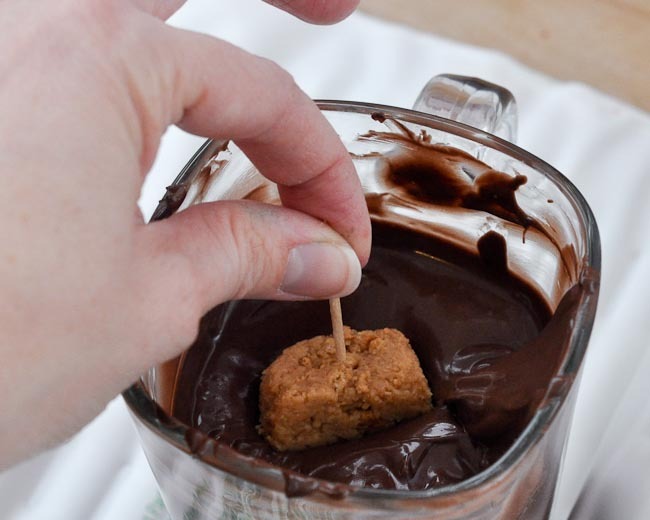 Dip the peanut butter all the way into the chocolate, going straight in and straight back out to help keep it from falling off of the toothpick. If you keep the toothpick pointed upwards, rather than down towards the chocolate, that helps keep the candy from falling off. Immediately pour the black sanding sugar over the top, or 'roll' the coated candy in the sprinkles. The chocolate will harden somewhat quickly, so don't wait too long, or you're out of luck with the sprinkles. Or stab the toothpick into some styrofoam. 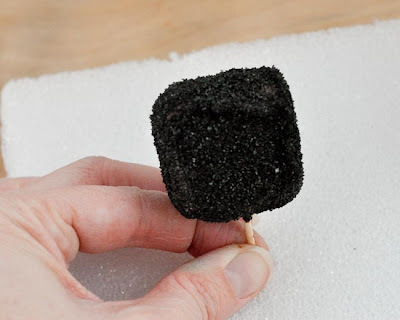 I prefer the styrofoam because I think the backs of the ones that dry flat look a little smooshed. But you know, they still look great either way! 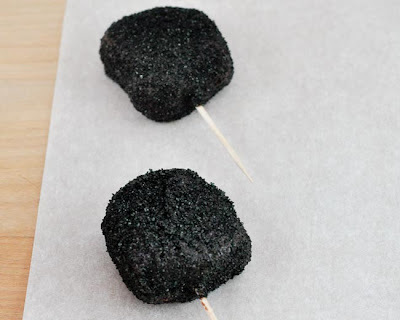 If you used chocolate chips, I recommend sticking them in the refrigerator for a few minutes before you take out the toothpicks. 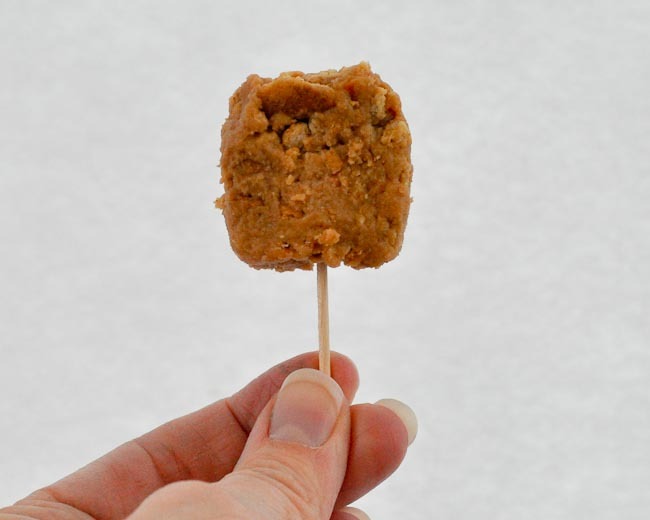 If you use Candy Melts, just remove the toothpicks, and you're ready to taunt your friends and family this holiday! That's so cute, Beki. Your photos make it look easy, I may be able to do this one :) Lisa D.
These are cute. How many does one batch make? Thank you for asking. Sorry I missed that detail. I'd say about 2 dozen.